With just over a week to go until the transfer window slams shut, West Ham’s summer revamp looks set to continue with the Hammers reportedly eyeing up a move for Chelsea’s Danny Drinkwater. Manuel Pellegrini believes West Ham’s record signing Felipe Anderson gives his team a “new dimension”. Manuel Pellegrini has been dealt a blow with the news that Andy Carroll and Winston Reid have both been ruled out for three months through injury. Manuel Pellegrini has secured his second signing of the week, with Andriy Yarmolenko completing a reported £17.5m move to the London Stadium from Borussia Dortmund. West Ham’s busy start to the transfer window looks set to continue, with the Hammers reportedly closing in on moves for Lazio’s Felipe Anderson and Corinthians defender Fabian Balbuena. West Ham have signed former Arsenal midfielder Jack Wilshere, with the England international penning a three-year deal at the London Stadium. West Ham’s Manuel Lanzini has denied reports claiming he will miss the whole of next season through injury and has targeted a return to action in 2019. Hammers keeping tabs on Dragovic? West Ham are reportedly among a trio of clubs who are keeping tabs on Bayer Leverkusen defender Aleksandar Dragovic. Posted in GuardianComments Off on Hammers keeping tabs on Dragovic? Manuel Pellegrini could be without one of West Ham’s star players for next season, with Manuel Lanzini reportedly set to be ruled out for 15 months through injury. Sports minister Tracey Crouch says her “mind is open” on safe standing at football grounds after announcing a fresh review into the subject. West Ham’s new goalkeeper Lukasz Fabianski was an unused substitute as Poland crashed out of the World Cup following a 3-0 defeat to Colombia. Mexico all-but secured safe passage to the round of 16 for a seventh straight World Cup as they eased to victory over South Korea in Rostov. West Ham have, as expected, completed the signing of Toulouse centre back Issa Diop for an undisclosed club record fee. Crystal Palace are reportedly weighing up a move for Michail Antonio after the West Ham winger was apparently told that he could leave the club this summer. Manuel Pellegrini will take on Jurgen Klopp in his first match in charge of West Ham, after the Hammers were handed a trip to Liverpool on the opening day of the Premier League season. West Ham are poised to revive their interest in Norwich City midfielder James Maddison, according to reports. Extra-time will no longer be played in the Carabao Cup from next season, with matches level at 90 minutes moving straight to a penalty shoot-out, the English Football League has announced. Amazon has entered the Premier League rights market by agreeing a deal to televise 20 matches per season from the 2019-20 campaign. Marko Arnautovic played almost 85 minutes, as he helped Austria pull off a shock 2-1 victory over World Cup holders Germany in a friendly at the weekend. West Ham’s Javier Hernandez has been named in Mexico’s 23-man squad for the World Cup this summer. Joao Mario got on the scoresheet for Portugal, who surrendered a two goal lead to draw 2-2 with Tunisia in an international friendly on Monday. West Ham have confirmed defenders James Collins and Patrice Evra will leave the club when their contracts expire on June 30. Former Manchester City manager Manuel Pellegrini appeared to move a step closer to taking over at West Ham after Hebei China Fortune confirmed he was leaving the Chinese Super League club. 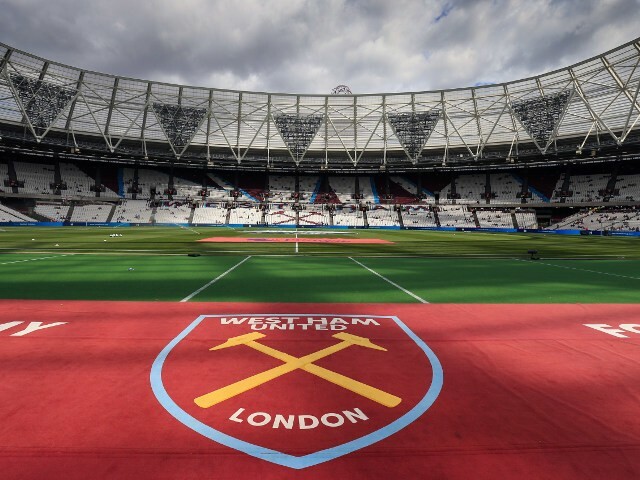 West Ham are looking for a new manager after confirming David Moyes has left the club. David Moyes believes the Premier League will be losing the last of the “street footballers” if Wayne Rooney opts to leave Everton for DC United. West Ham boss David Moyes has challenged Adrian to oust Joe Hart and win his place back until the end of the season.